Childbirth is a very emotional and personal moment for most families. Most women want to be surrounded by their loved ones, especially the child's father, to make it an intimate moment. However, this woman’s husband disagrees and believes it should be a family affair — one with his parents involved. 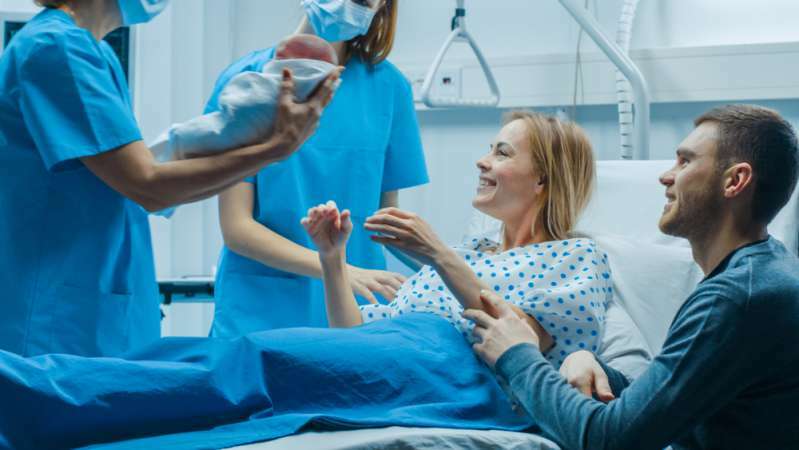 A soon-to-be mother has taken to the internet to seek advice after her husband insists that his parents should be present in the delivery room. While an in-law’s presence might not be such a big deal, the problem, in this case, is that she doesn’t want them there. Several users have tagged her husband as selfish and advised her to stick to her decision. A user on Quora made her understand the implications of succumbing to her husband’s request at the expense of her comfort. He explained that it is important for stressors to be removed from the birthing location to make delivery easier. “They can wait in the waiting room until the baby comes. This is not about them, it’s about you, the baby and your husband, period!" It’s not certain what this user might settle for in the end. However, her safety and that of her baby should be paramount to her husband. They should be of top priority, not the in-laws. Although pregnancy can be trying, it is indeed a beautiful moment. Here is a powerful story to prove that.